Crossbody Bags & Purses on Sale - Buy 1 Get 1 Free for New Members! Designer crossbody bags aren't just functional handbags – they become part of your look. Try these quality made, yet cheap crossbody purses from JustFab to kick your wardrobe up a notch. We have casual designer bags with chain straps, adjustable straps and detachable shoulder straps. Some of our crossbody women's handbags also feature handles at the top, and some are small in size so they can be carried like a clutch. Cute crossbody bags in bright colors dress up casual outfits, and some of our cheap purses even feature studs, fringe details or snakeskin prints. Grab pretty crossbody purses in faux leather or velvet for a luxurious touch, or some of our trendy Iron Fist designs. 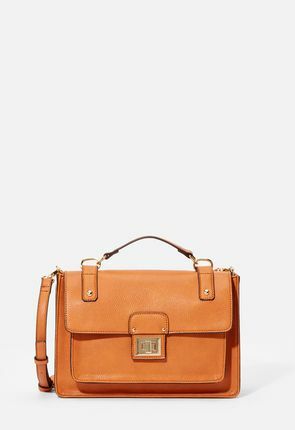 Wear these designer bags in standard crossbody style, sling them over one shoulder, or carry them like briefcases. However you wear them, enjoy the trendy style of these popular fashion accessories. 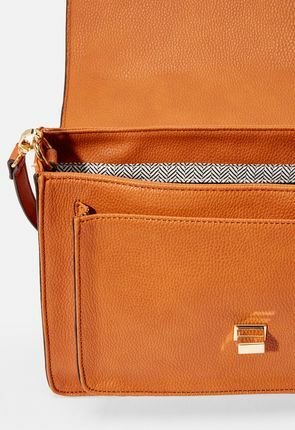 Not only do these affordable crossbody bags look stylish, but they also keep you organized. We have cute crossbody purses with exterior pockets, interior zip pockets and slide compartments. Keep things together in crossbody bags with magnetic, snap or zip closures. These trendy and cute crossbody bags from JustFab are just the accessories to dress up your outfits. Of course, crossbody purses are also must-haves for carrying along all your essentials to work or when heading out for fun. These women's designer bags range from small purses to briefcase sizes large enough to hold tablets, files, makeup bags and more. And the versatility in crossover styles lets you wear them around your neck and shoulder or loosely over one shoulder. Small crossbody bags can almost be worn like long statement necklaces, especially when they're designed with cool chains or feature like fringe or tassel details. Try cute crossbody purses in vivid colors like red, blue or green to make a unique fashion statement. 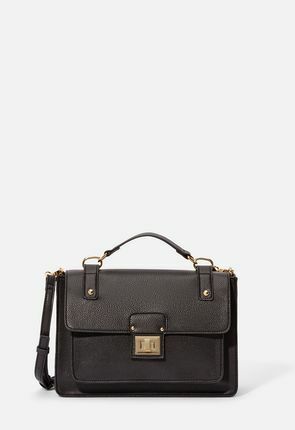 Some large crossbody designer bags feature handles at the top, so you can carry them like briefcases on the way to work. You'll also find styles with adjustable or detachable shoulder straps, so you can mix up the way you wear and carry them. Look for affordable crossbody bags at JustFab, with cool materials featuring textural weaves or quilted designs. Or grab styles made with luxurious velvet or faux leather. For rock star looks, we have bags featuring Iron Fist designs or studded accents. 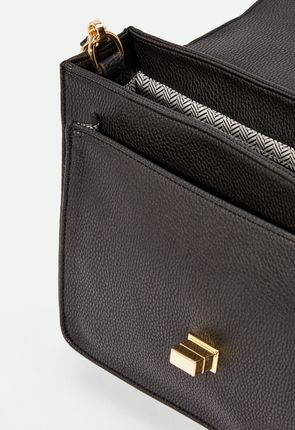 For the office, try classic boxy shapes, in sleek designs with metal snaps or zippers. Functional and fashionable crossbody bags offer various storage options for girls on the move. You'll find casual purses with multiple interior pockets and slide compartments. To get your favorite designer inspired handbags and other fashion accessories handpicked just for you, join our unique monthly program. 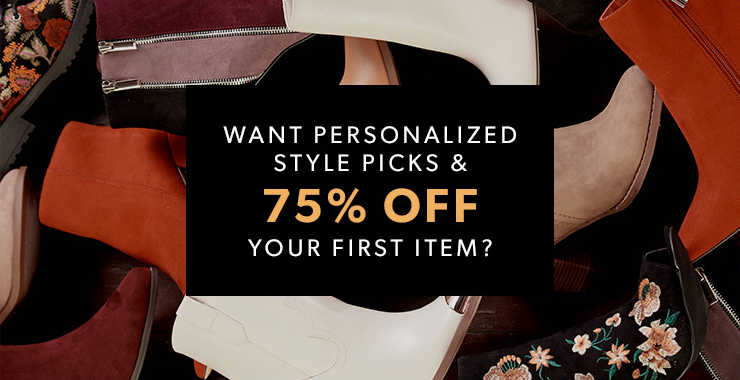 We'll provide affordable shoes and handbags in your own personalized online boutique, and will add new styles each month.